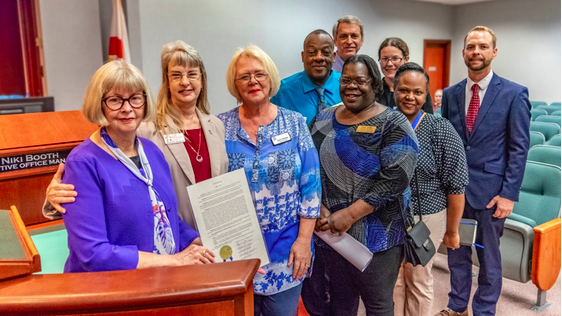 At this week’s Lake County Board of County Commissioner meeting, the Commissioners Proclaimed November 10 – 18, 2018 as Hunger and Homelessness Awareness Week. Commissioner Wendy Breeden presents the Proclamation to Mid Florida Homeless Coalition and its Lake County partners. Everyone can do something to address the needs of people who are hungry or homeless. Be a part of the solution. Call Mid Florida Homeless Coalition or any not-for-profit near you to get more information on how you can get involved.